In the wake of the phony webpage incident that claim to sell tickets to the upcoming appearance of Milo Yiannopoulos at Louisiana State University, campus student groups and the LSU Office of Multicultural Affairs are now trying to come up with a way to prevent the conservative “performer’s” (the LSU Daily Reveille term) event on the 21st. 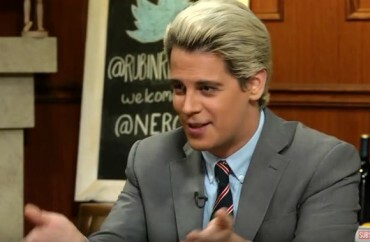 Yiannopoulis was invited by LSU Students for Trump. Students for Trump Ambassador David Walters said he wanted to bring Yiannopoulos to campus to gain greater exposure for his organization and attract new members. Walters said he and other members of Students for Trump are aware of past protests at Yiannopoulos’ shows, and they plan to have a designated protest area outside of the Union Theatre on the night of his performance. [I]n a statement to The Daily Reveille, LSU Media Relations Director Ernie Ballard said allowing Students for Trump to host its event in a campus facility is not an endorsement of the speaker or his message.